Mix the Cream, Egg, Cheese, Salt, Pepper and Paprika. Chop the Spring Onion, Chives and Garlic and mix it with the Cream. Leave green parts of the chopped Spring Onion on the side for later. Fill the Mix into the Crust. 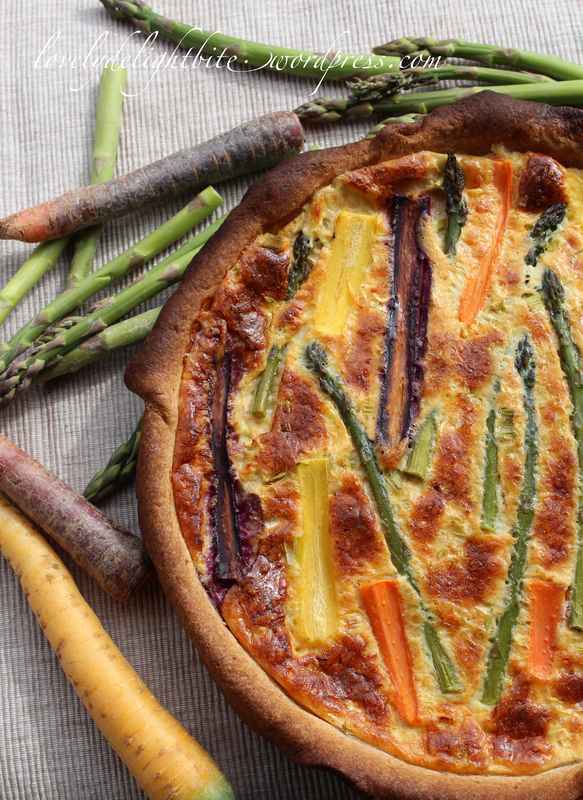 Make slices from the carrots and arrange the slices and the asparagus on top. 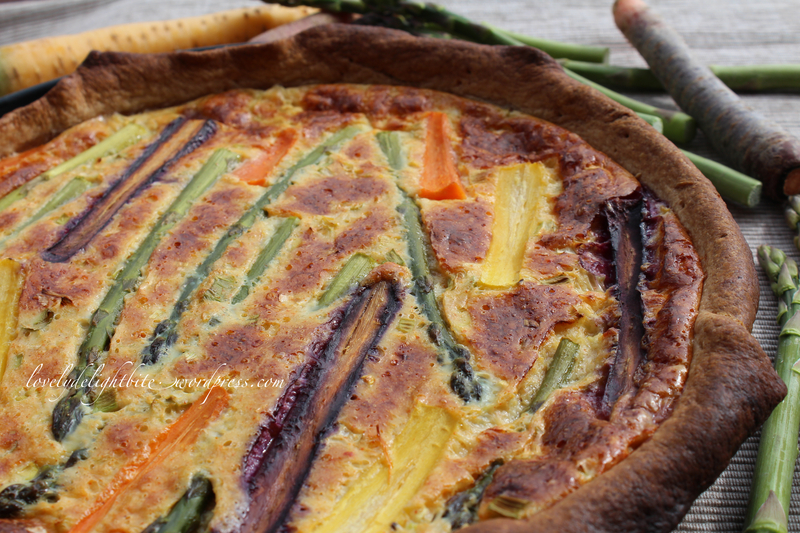 Sprinkle the rest of the Spring Onion over it. Heeeeello Spring! With all your beauty! It feels so good, sun and freshness and some new old friends in the fruits and vegetable section in the stores. 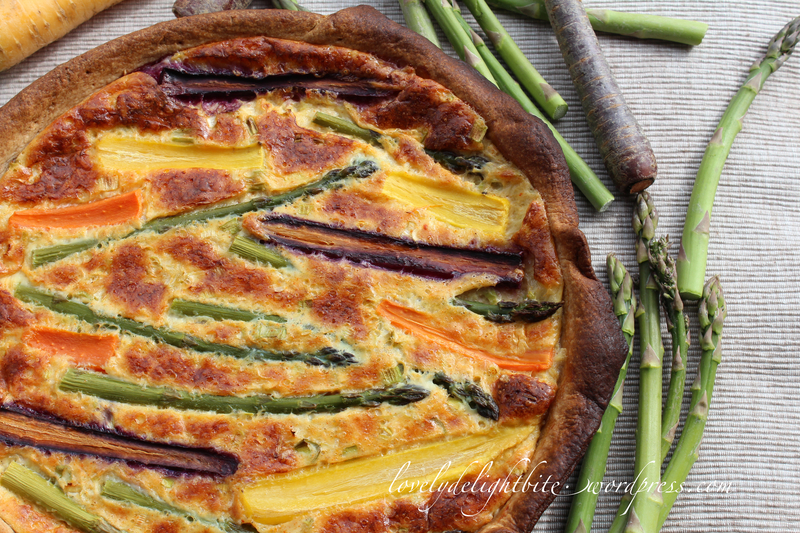 One of my best veggie friends is back too…..Asparagus! Mmmh in every just thinkable way! 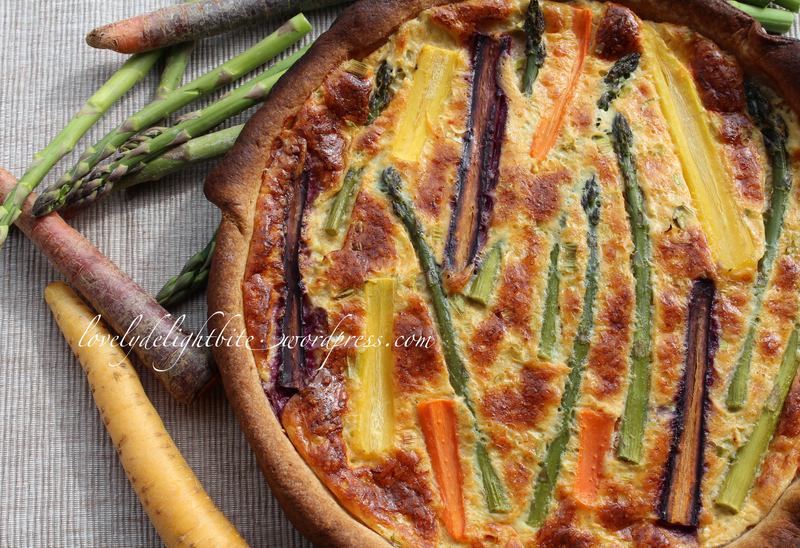 So today I made this simple and colorful Quiche with 3 different colored Carrots and thin Asparagus to celebrate this sunny day and my girlfriends that I invited over.